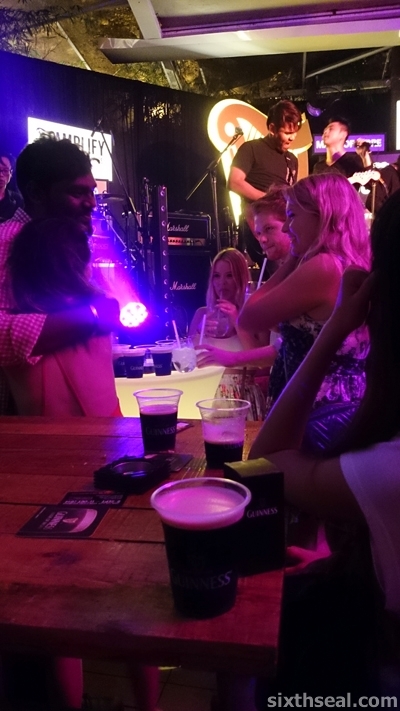 The number one question I’ve received from friends visiting from abroad is invariable – “Where can I chill with a couple of beers and a live band?”. You ever notice that? It’s never “Where’s the hottest club in town?” (once you get past college) or “Where’s the best place to pick up girls?” (unless you have a creepy set of friends). 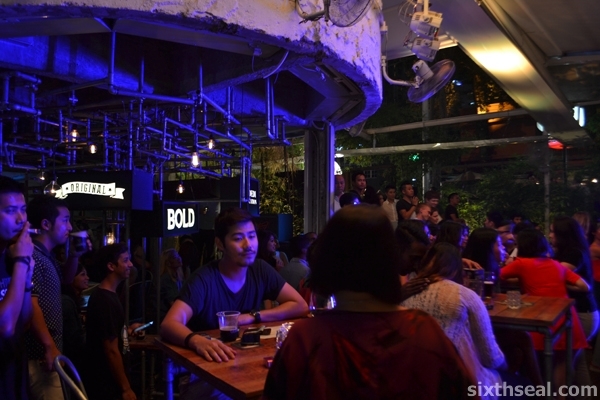 People just want to have a good time and kick back at night with a good brew in hand and some live music while they chat with friends. 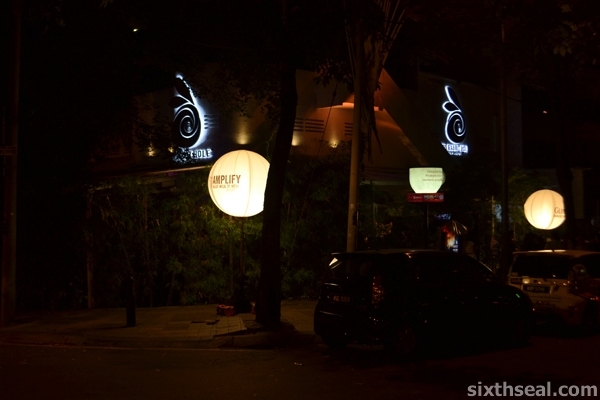 I was out last Saturday night at The Rabbit Hole @ Changkat Bukit Bintang to check out one of the first iterations of Amplify. 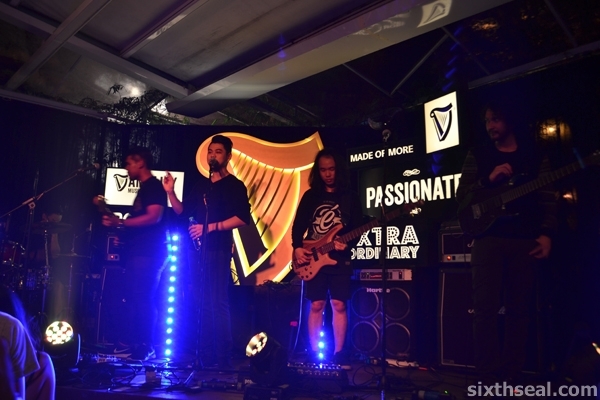 Guinness Amplify is a brand new music platform from Guinness – described as a journey of sound and sensation, it’s a celebration of the journey of talented, dedicated and passionate musicians. 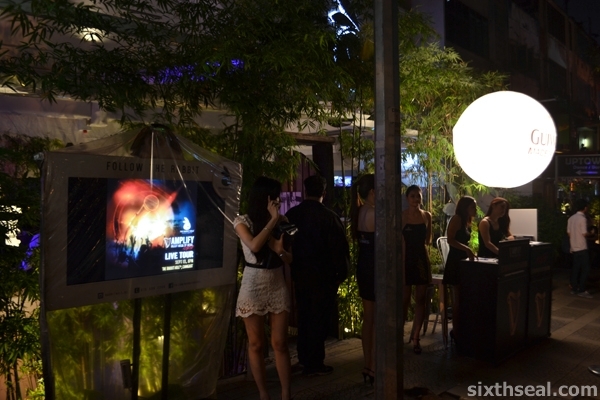 The Rabbit Hole was nicely decked out with a feature stage and a great sound system. It was packed by the time I got there for the JUMERO set. There’s a nice mix of locals and foreigners there too. There’s nothing better than listening to the best local bands that we have while downing a couple of pints of Guinness on tap! 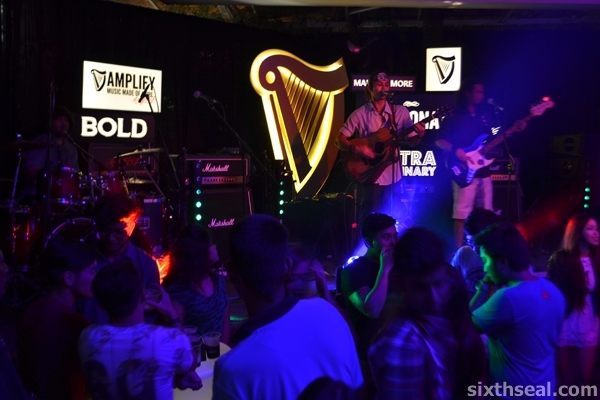 There are three live sets each Saturday night – JUMERO was followed by THE MARQUEE before the headlining act OJ LAW. Each set lasted from 30 – 45 minutes and each had it’s own character. I particularly liked Jumero’s stage presence and how The Marquee got the crowd’s support with great covers. It’s so different from other music events – the musicians doing their gigs here is definitely made of more – they have the passion and dedication which makes them a cut above. Here’s a video of The Marquee in action! Entry is FREE for all events. There are no tickets required except for the finale show. Come early to grab your seats coz it’ll be pretty full once the first set starts! 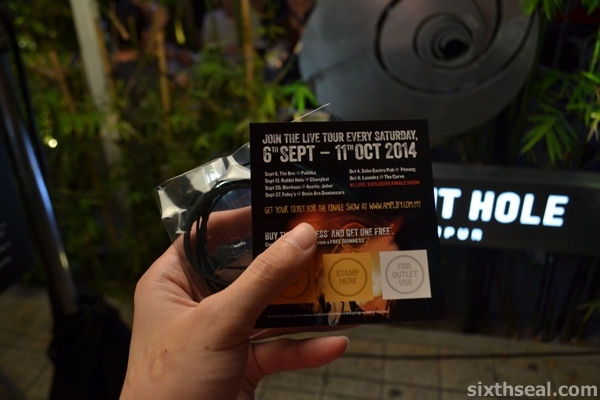 Guinness on tap was at RM 10 all night long at The Rabbit Hole and you’ll get 1 Guinness free for every 2 Guinness you buy, and there are give-aways between sets for the exclusive finale show at KL Live at every one of the Saturday night live events. Also, have I mentioned that Guinness will celebrate the Finale Show with a bang? It would be “Rude” of me if I didn’t reveal that Canadian band MAGIC! will definitely be performing alongside our local talents OJ Law and DASH in this much anticipated finale. You’ll love this – it’s all about passionate musicians showcasing their passion. It’s really different from other live band venues. 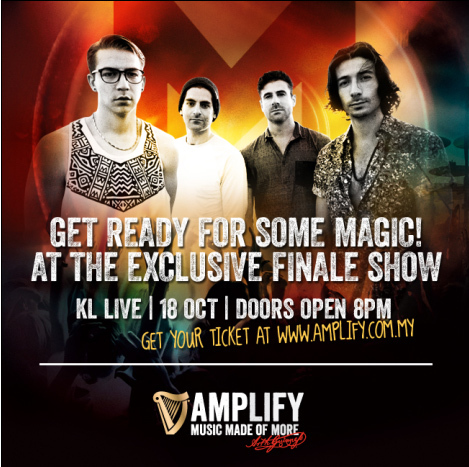 Get more details about the weekly Saturday night events and how to win tickets to the phenomenal final show at KL Live @ www.amplify.com.my! What would I do with so much cash? Haven’t been clubbing for a very, very long time too. Not really into it after you’re past a certain age, as you mentioned. Catching up over drinks with a good live music band is much better, they have one this Saturday too! Some of the band are familiar to my ears. hehe. Old already, didn’t really know what happen outside. Lol! Yeah, I know what you mean, nowadays I seldom go clubbing anymore, just live music and a couple of pints works better for us “older folks”. Haha. Cool! We’ll check it out tomorrow night at Foleys. Will you be there too? Yup, I’ll be there too. It’s actually easier for me to go to Oasis Ara Damansara than KL CBD itself. I know Foley’s Irish Bar, been there a couple of times, catch up if I see you Saturday! Nice place to chill out after a hard day of work. Great music and great beer ! I love the parking there too – it’s just opposite The Rabbit Hole. 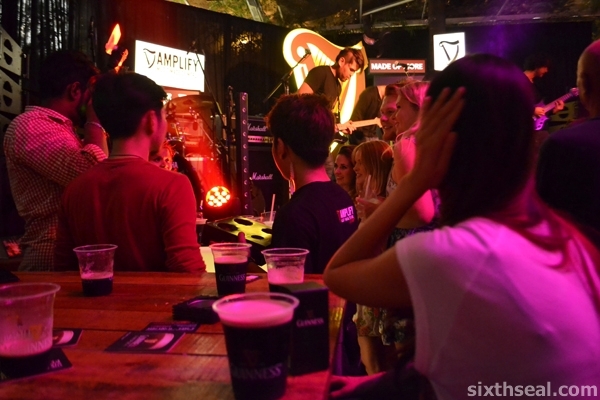 Oasis Ara Damansara is closer to me though, so I like Foley’s Irish Bar, the upcoming one this Saturday. The band lineup is great too! Cheers mate! Gosh!!!! It has been so so long since I went to such places to catch their live acts. I enjoy dropping by Crossroads at Concorde, KL. 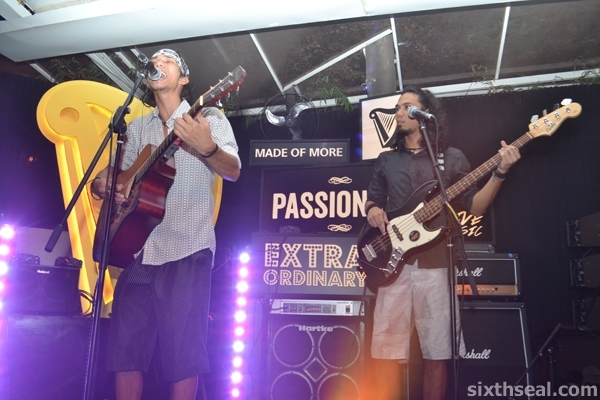 Especially talented ones like these, they really have passion in their music. The best thing is there’s no cover charge and Guinness is on promo too – RM 10 per cup and there’s a redemption going on where you can get 1 free for every 2 you buy, just need to get the stamps when you buy the first 2 and redeem the 3rd Guinness free. I’ve always enjoyed their sets, the Canadian band MAGIC! will be coming and I’ll be going to the finale show on 18th October too!